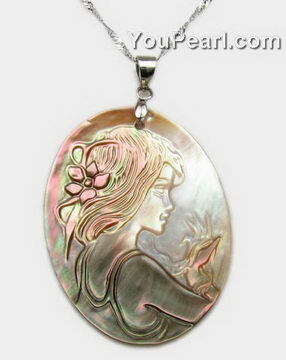 It is made of blackish Tahitian shell. The listed price for one pendant only, and you can choose to add a sterling silver chain. Lovely!!! The prices here are great!!! I am very happy with ..